It is important not to worry yourself about the possible Saizen side effects for adults too much so that it affects your therapy, but at the same time, to just be aware of them. They may never occur when you are on a medically supervised treatment plan, but knowing what they are can make the difference between being able to take care of them quickly or them getting worse – if they do occur on that rare occasion. Some people may believe that one of the side effects of Saizen is more serious than another. That may be true at first (a rash as opposed to shortness of breath); however, all side effects must be taken seriously. The reason is because a simple seemingly small issue such as breaking out in a small rash can turn more vital in time if the medication is taken again. The second of the several possible side effects of Saizen growth hormone can be much more serious and detrimental to one’s health than the first. Taking care of problems as soon as they arise is very important. You should be working with a human growth hormone (HGH) clinic that works closely with you. Their clinical advisors should be readily available for phone calls with any issues that arise so that they can be taken care of immediately. 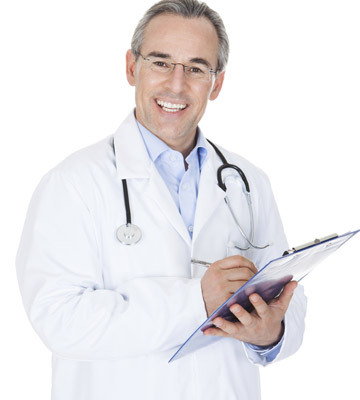 Our advisors are always able to be in close contact with our licensed doctors. Therefore, if a patient calls experiencing any Saizen growth hormone side effects, they can be taken care of right away. How are Saizen side effects stopped? The doctor can lower the dosage of medication being used or even change to a different medication if necessary. On occasion, therapy may have to cease altogether; however, this is very rare. Why do Saizen HGH side effects occur? It is very difficult to answer this question, but the hypotheses as to why HGH Saizen side effects occur are because a person is (a) having an allergic reaction to the medication or perhaps (b) the dosage being taken is too high. In the latter case, the amount of injections being administered can easily be lowered. Make sure to always take care of yourself. When on an HRT program and taking medication, be aware of any signs of anything abnormal (without becoming overly worried) and call us if you do experience anything out of the ordinary. That is why we are here and we welcome any and all phone calls from our patients. We pride ourselves on impeccable customer service and a commitment to helping all of our clients gain positive results from treatment. No matter what dosage of medication a patient is taking when on an HRT protocol, they can possibly experience any number of Saizen 3.33 mg side effects or Saizen 8.8 side effects. What can a patient do to avoid any problems from occurring from HRT medication? Always work with a reputable hormone replacement therapy clinic. They should have licensed and experienced doctors in the medical field of endocrinology. Their clinical advisors should be skilled experts who are compassionate, understanding and available. There should always be a first free consultation that takes place between the patient and a clinical advisor. This conversation will consist of the advisor learning about the client’s signs, symptoms and goals for therapy. The patient will learn about HRT in general, medications, possible Saizen side effects and anything else he or she wants to know. Testing should always be mandated. This is done for the purposes of finding out through blood work if a person is GH deficient and also to find out through a medical exam if a person is a good candidate for HRT. That means that their health is otherwise positive despite the negative ailments that come from depleting GH. A medical history to be done online will also be required and will give the doctors the right information to further help make a correct diagnosis and to write an accurate prescription. Prescriptions are always necessary in order to get HGH medications. As a matter of fact, HRT is illegal if it is not done after a prescription is given to the patient. Medical supervision is always supplied to every HRT client. Doctors must follow patient’s progress throughout the course of therapy and be available to make changes to a prescription if any side effects from Saizen or any other medication being taken happen. The patient will call his or her clinical advisor and the advisor will be in immediate touch with the doctor in charge. It is always important to take care of any possible growth hormone Saizen side effects as soon as you experience them. Do not allow them the chance to get worse. Do not allow yourself to waste time with negative issues when you could be experiencing great change in physical, emotional, mental and sexual ways. People may question what the possible Saizen long term side effects could be and this is a question to ask your clinical advisor during that first initial phone call. No serious long term issues have been clinically proven to affect an HRT patient. In fact, when taken at the right dosage so that growth hormone levels are at the right levels and balanced correctly, the body does not see the medications (which are 100 percent pure and bio-identical) as a threat or anything foreign. This is why HRT is so popular, well sought after, safe and successful.